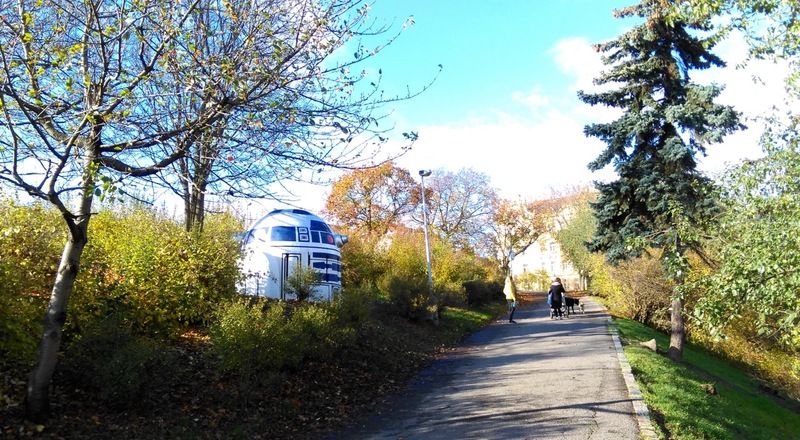 The android R2-D2 from Star Wars in Prague. 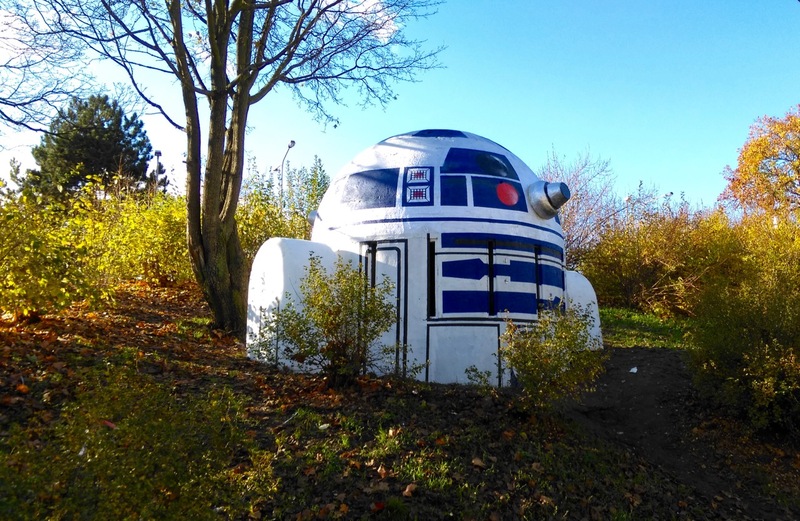 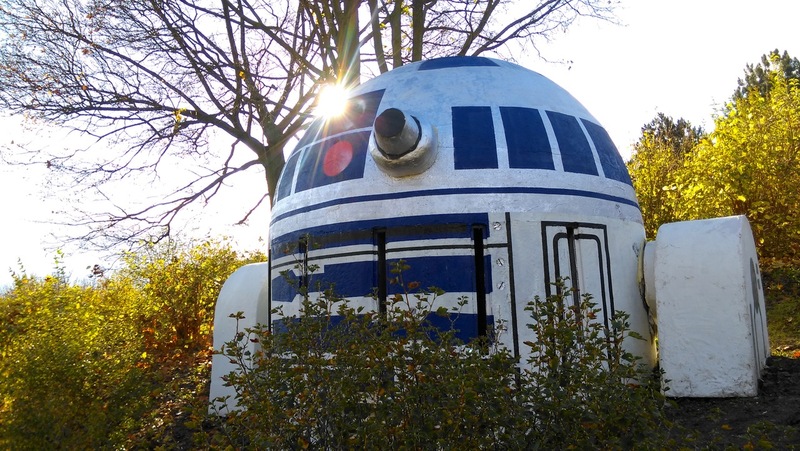 Unknown street artists have turned a bomb shelter in the park Folimanka into the robot R2-D2 from the movie Star Wars. 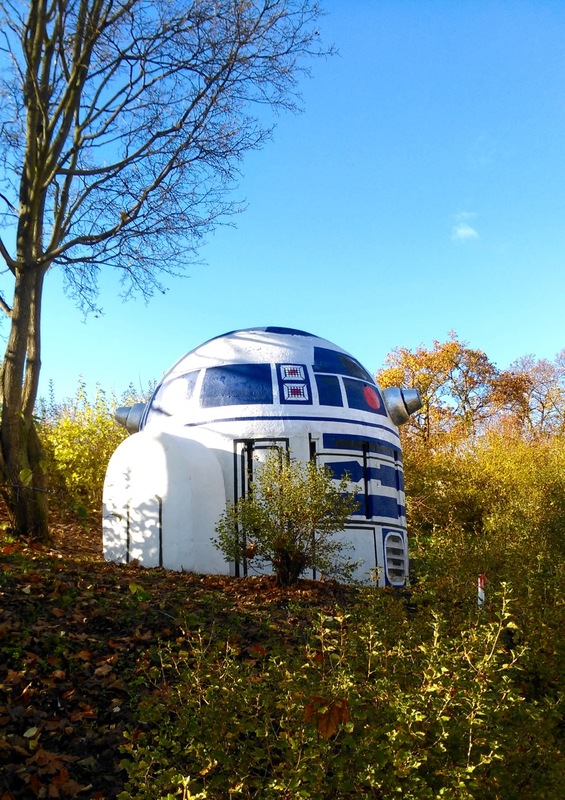 The town hall already announced that they won’t paint over the structure. 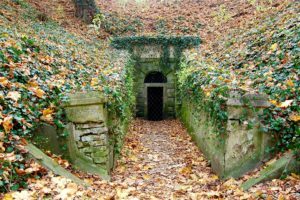 You can find the location and an image of the previous structure here. Previous story Taking the Train or the Pram?